I always get customers coming in saying something along the lines of ‘My child has read this, they absolutely loved it, can you recommend anything similar?’ Sometimes, it’s hard to recommend anything similar, and sometimes I’m tempted to suggest something quite different, so the child has a broad reading range but in the case of a customer the other day asking for books similar to Enid Blyton I just had to recommend two fantastic authors whose books I really admire, and love. The second in the Laura Marlin series ‘Kidnap in the Caribbean’ was published last month by Orion and we follow Laura all the way to the Caribbean and things are a little different there. Cornwall certainly doesn’t have pirates and sharks on the shore! It’s another fantastic book in this series. 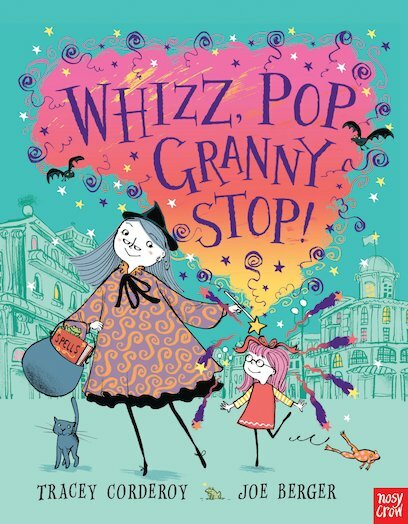 Well written, with a really loveable, charming character – books like these are rare and certainly echo the fun, innocent nature of Enid Blyton’s Famous Five books in which going out to play meant finding your own adventures! I also can’t stop raving about Helen Moss and her book ‘Adventure Island: Mystery of the Whistling Caves’. It might be the cover which appeals, but it also might be the mysterious action packed story in which three children and a dog make their own investigation when the local whistling caves suddenly go quite and lots of treasure goes missing. This is good old fashioned story telling with a modern setting – I loved it. Also part of a series, ‘The Mystery of the Midnight Ghost’ is out now. I just had to share my love of this new picture book written by Alison Murray. It’s incredibly clever, charming and importantly; educational. It is a traditional verse written to tell all the letters in the alphabet. The narrative follows a pesky little dog who is after some delicious apple pie. Each letter is written in a large, bright font and describes the dog’s escapades to get some pie from the initial spotting of the APPLE pie to JUMPING up on the table and finally ZZZ’ing after eating lots of pie. It’s a lovely tale made new and exciting by the gorgeous illustrations. I highly recommend it for anyone looking to teach their child the alphabet without it being too obvious that they’re actually reading an educational book!